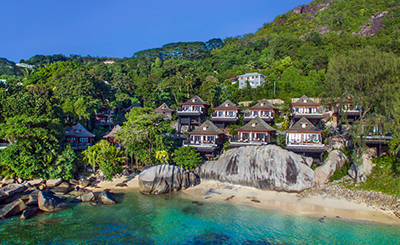 Escape to paradise at the Hilton Seychelles Northolme Resort and Spa on the idyllic island of Mahe. 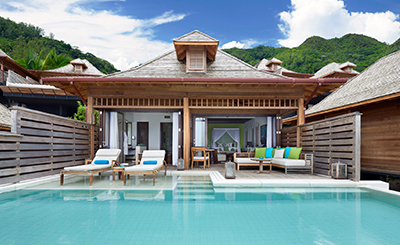 This secluded Seychelles retreat is comprised completely of private villas perched on the verdant hillside or nestled amongst secluded beach coves on Beau Vallon Bay. 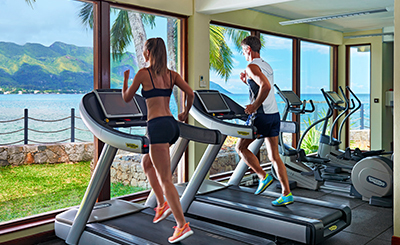 The hotel is just 18 kilometers away from Seychelles International Airport. 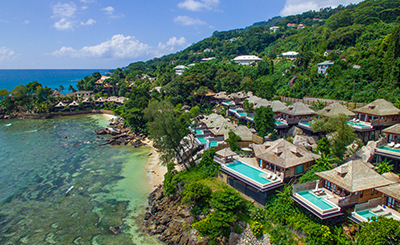 The hotel features 40 Villas, including 14 Deluxe Oceanfront, and 26 Oceanview Hillside, all with stunning views. 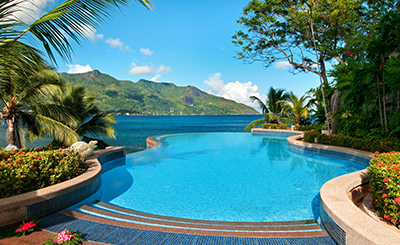 With freshly prepared local seafood and traditional Creole Cuisine, the dedicated chefs offer exotic flavors and a truly enchanting dining experience. 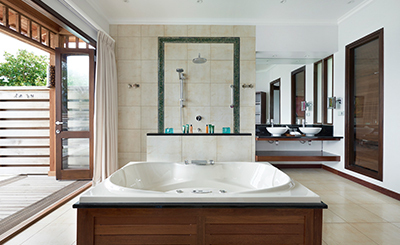 Relax with a cool drink and take in magnificent views of the nearby Silhouette and North Islands or dine under the stars as you watch the sun sink in to the Indian Ocean. Hotel only welcomes guests of 13 years of age & above. 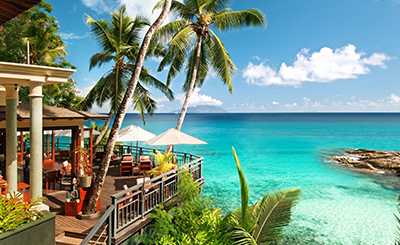 Les Cocotiers - An al fresco, a la carte restaurant which is open for dinner daily. Hilltop Restaurant - The hotel's main dining room which serves buffet meals for breakfast and dinner. 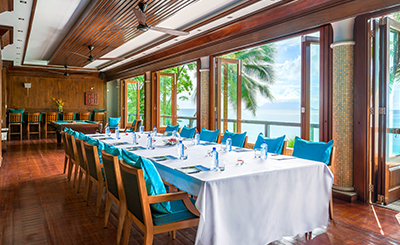 Oceanview Bar and Restaurant - offers the perfect setting to unwind, enjoy lunch, dinner or an all-day snack menu.